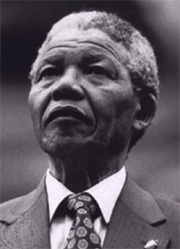 South Africa's former President Nelson Mandela has been selected as the winner of the 2004 Manhae Peace Prize, a Korean selection panel announced May 12, 2004. "We have decided to award the prestigious Manhae Peace Prize to Mandela in recognition of his lifelong dedication to world peace," said Lee Soo-sung, head of the screening committee for the Association for Enhancing & Practicing the Spirit of Manhae. Lee, a former Korean prime minister, made the remarks during a press conference at the Journalists Association of Korea office in downtown Seoul. "Manhae's ideologies of freedom, equality and peace have much in common with Mandela's life and spirit as the spiritual leader of South Africa," Lee said. "Mandela is likely to visit Korea to attend the awards ceremony scheduled for Aug. 12 at the Manhae Village near Baekdam Temple in Gangwon Province." The Association for Enhancing & Practicing the Spirit of Manhae set up the Manhae Grand Prize to honor the loft thoughts and the profound spirit of Han Yong-woon (1879-1944). Manhae is the pen name for Han, a Buddhist monk and poet who devoted most of his life to the independence of his homeland. Lee Soo-Sung (far left), head of the screening committee of the Association for Enhancing & Practicing the Spirit of Manhae, answers questions during the press conference. The Manhae Grand Prize is one of the most prestigious prizes in Korea. Among the Manhae Peace Prize recipients was former Korean President Kim Dae-jung, who also received the Nobel Peace Prize. Born at the end of the Joseon Dynasty, Manhae spent most of his life in Korea under Japanese colonial rule (1910-1945) striving to achieve the universal ideologies of freedom, equality and peace. He also tried to materialize the philosophy of love, the ideologies of life and peace based on the spirit of the times, and the realization of advancement and unification ideology, all while carrying out national tasks to obtain independence from Japanese colonial rule. "Mandela's ideologies of peace and reconciliation are greatly needed on Korea's road toward the reconciliation and reunification of South and North Korea," Lee said. On July 6, 1995, when Lee served as president of Seoul National University, he personally conferred upon Mandela an honorary doctoral degree in philosophy in Seoul. 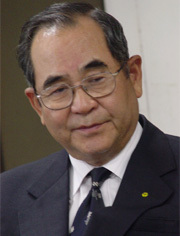 Lee now also works as president of the National Council of Saemaul-Undong Movement in Korea. 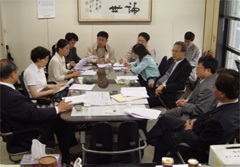 Lee Sang-ki, president of the Journalists Association of Korea, also played a role in the selection of Mandela. "In time with the awards ceremony, a large-scale event will be held in Seoul wishing for national reunification and we hope Mandela to make a speech about national reunification at the planned August event." Among other 2004 Manhae Grand Prize winners are novelist Hwang Suk-young in the literature category, film director Im Kwon-taek in arts, and David R. McCann, a professor at Harvard University, in academic studies. Buddhist monk Beopta was also chosen as the recipient of the Manhae Grand Prize in the practice category.